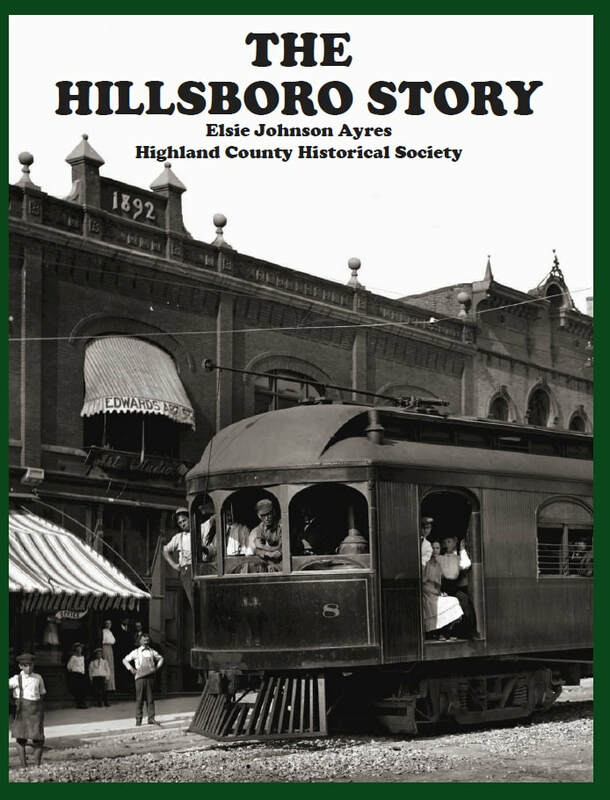 Telling Highland County's History for over 50 years! Bring your phone or tablet when you visit Highland House and enjoy our recently updated Self-Guided Tour. Click on the button above to begin! SEE WHAT'S HAPPENING AT HCHS! This stunning portrait of Huggins children, painted by Emma Detwiler, was just received as a donation from Kay Payton. More information will be added later. MOSES TRIMBLE will get a grave marker! Moses Trimble, Civil War soldier and long time resident of Highland County, will finally have his grave marked. The stone at left was received from the US Government at the request of HCHS, with the invaluable assistance of Craig Turner at Turner Funeral Home and the local Vets' office. Ceremony for Moses Trimble will be August 9, 2019. Time to be announced later. Opening for the season on 03MAY! Call Highland House at 393-3392 and speak to Vicki to volunteer! You can also sign up by clicking on the Volunteer tab. Volunteer training coming up next week! These books and more concerning GENEALOGY are available in our shop. Call for details! Click on the "Membership Information" link at left. Already a member and need to renew? Click on the same link to find the renewal button. Gone are the days of stepping up to the ticket booth at Chakeres Colony Theater in uptown Hillsboro with a quarter to get you into the Saturday matinee. Gone are the days of the soda pop dispenser that dropped a cup into place where you could see the streams of syrup and fizzy water mingle into a sweet and bubbly treat. And gone are the days of admiring the magnificent bas-reliefs lining the walls, illuminated only by the warm glow of hidden lights. The building may be gone, but Highland County Historical Society representatives Avery Applegate, Jim Rooney, John Kellis, Tim Koehl, and Max Petzold were given full reign by City Council to save artifacts from the decaying building prior to its demolition. The team spent the summer of 2016 prying loose and removing the most memorable items, and the Society is now proudly presenting the results of their labors to the public. The grand opening of the Colony Theater Exhibit was held at the Society’s Highland House Museum, 151 East Main Street, Hillsboro, Ohio, on Friday, June 1. ​This is a new permanent exhibit which includes one of the bas-reliefs has been lovingly restored and reassembled in the second floor hallway. There is also a display case and wall full of other great items from the theater. We are always on the lookout for things to add to the collection! And, items can be scanned for display if you would like to retain the originals. Our hope is that this permanent display will bring back memories, spark interesting conversations, and delight all museum visitors! ​In addition, others who are or were involved in arts and entertainment, such as Uncle Orrie, Steve Faris, Leland Pennington, Milton Caniff, Uncle Al and Captain Wendy, Daniel Llords and more, are featured in this space. ​It takes many folks to create a new permanent exhibit and the Society would like to thank all who made this display and grand opening event possible, including Avery Applegate, Jim Rooney, John Kellis, Tim Koehl, Max Petzold, Justin Harsha, Rusty Hill, Steve Holland, Vicki Knauff, Lesia Langston-McKenna DMD, Big Ernie’s Pizza, plus all of the other donors and volunteers who have put forth time, effort, and money to make this event and display a wonderful addition to our Highland House Museum. is on the shelf now! With the help of Elsie Ayres' step-grandson and permission of her daughter, we took her 1957 booklet and have increased its size and number of pages. Updated with 2017 information as well as many rarely-seen photographs, this is sure to become a favorite. Elsie's book was originally produced for the Sesqui-Centennial and can rarely be found these days. Stop at Highland House to purchase a copy or you can order online (postage applies). Click on "Online Ordering" on the sidebar above. Add this great documentary to your DVD library! This is the positive and uplifting story of mothers who stood up for their children's education. 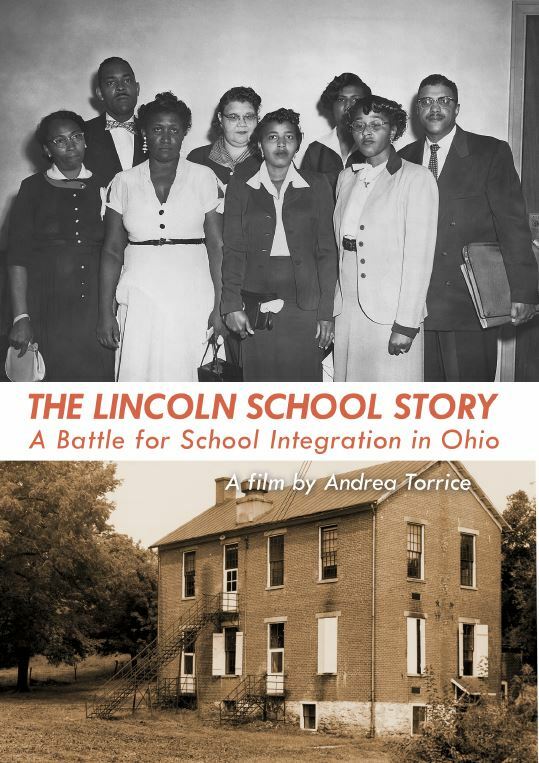 This was the first northern test case following Brown v. Board of Education. Looking for a way to "PAY IT FORWARD" to your community? Consider becoming a volunteer at Highland House! We use volunteers as GREETERS, CLERKS in our Museum Shop (special training required), behind the scenes work, such as reframing photographs and documents, marking objects (part of our ongoing cataloging project), assisting with mailings such as our newsletter, and general cleaning and straightening. You might like to become an costumed interpreter in our Log Cabin or love gardening and would like to share in the work of keeping our beautiful grounds lovely. You can call the office at Highland House - 393-3392, or fill out the form on this site (click on "Volunteers" in the side panel for more information or to find the form). Have you registered your KROGER PLUS CARD listing HCHS as your charity of choice? This costs you nothing, nor does it take any of your fuel points! BUT, Kroger will share part of their charitable giving with us! We currently have 6 folks helping us and our last check from Kroger was over $50.00. Please help and register your Kroger Plus Card Charitable Organization as HCHS! THANK-YOU! Click on the Facebook icon at the top right of the page.